Primark store, Oxford Street, London. 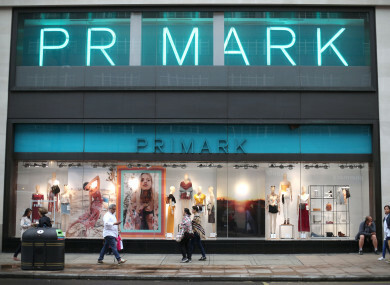 PRIMARK HAS ANNOUNCED that it wishes to move 220 of staff in its Reading offices to Dublin, and will be offering redundancies only as a “last resort”. Currently, Primark’s operations are separated across two locations: Dublin and Reading. From September, the company will move all its buying, merchandising and design operations to its Dublin headquarters, while some of the company’s functions will remain in Reading. Those affected by the company’s shift “will have the opportunity to work in Dublin”, Primark said. We recognise that being based in Dublin may not be an option for everybody, and if an alternative position cannot be found, then redundancy will be our last resort. As you would expect, we cannot speculate about redundancies. Paul Marchant, CEO of Primark said: “As the Primark brand continues to expand into new markets and new product categories, it is essential we deliver an exciting and consistent product proposition to all our customers. Lorraine Culligan, Group Director People & Culture Primark, said that “the scale of our business and the needs of our customers [needed to be] reflected in our internal structures as Primark continues to grow”. All of our people who are in any affected roles will have the opportunity to work in Dublin. Our colleagues will be fully supported during this period of change. Email “Primark to move 220 UK staff to Dublin - but not because of Brexit”. Feedback on “Primark to move 220 UK staff to Dublin - but not because of Brexit”.